‘Baahubali 2: The Conclusion’ is winning hearts across the world. Its stars and makers have become famous worldwide and recently the movie has crossed the benchmark of 1500 crore surprising the whole world. Undoubtedly, it’s clear to say Baahubali 2 is currently the favorite topic of discussion among the masses. Every single character of this epic is being praised for their surreal performances. 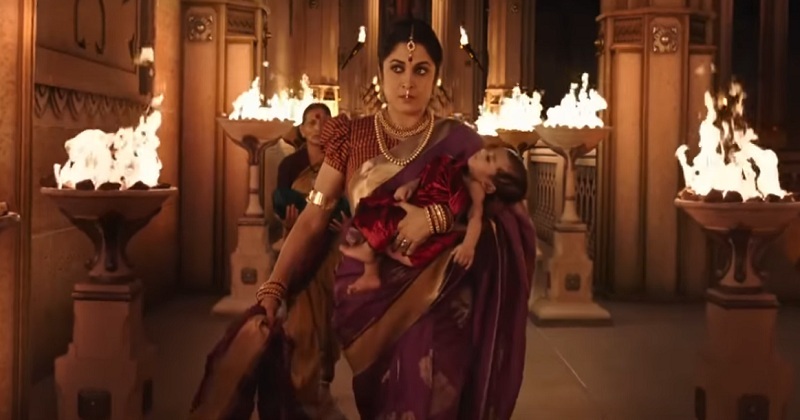 One of the biggest highlights of Baahubali: The Conclusion was undoubtedly South Indian actress Ramya Krishna! 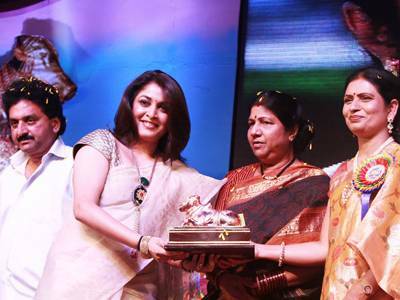 She brought alive the role of Raj Mata Sivagami Devi, a powerful character in the story, with her own grace and talent. Undoubtedly, as the royal Rajamatha of the Mahishmathi kingdom, she blew us away! She was so intense that she simply stole the show with that gutsy gait and gallant voice. And the whole country admired her power packed performance, stunning the audience, she has gained their approval and appreciation. 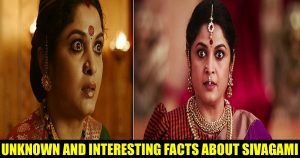 Her performance was so much praised that people claim that they cannot imagine any other lady playing the role of Sivagami. Thanks to SS Rajamouli for picking up such intense actors like Ramya Krishnan and the franchisee gave her acting career new heights, giving her worldwide recognition. So, we thought this would be the perfect time to dive deeper into her real life and unveil some amusing and interesting facts about the real life Ramya Krishnan. Here are some unknown facts about Ramya Krishnan that will make you love her even more! 1) She was born on September 15, 1970, at Chennai, to Tamil Iyer couple Maya and Krishnan. And her uncle Cho Ramaswamy was a well-known Indian comedian and actor. 2) She has learnt various dance forms including Kuchipudi, Bharathanatyam and Western and has given a number of stage shows. 3) She started her acting career at age of just 13 when she stepped in the film industry in the year 1984. Her first film was Neram Pularumbol, a Malayalam movie which also featured legendary actors like Manmooty and Mohanlal; however, the release of the flick was delayed and people got to see her for the first time in Tamil movie Vellai Manasu, which hit the theaters in 1985. 4) Ramya Krishnan appeared in more than 200 movies in five different languages – Hindi, Kannada, Tamil, Telugu and Malayalam. 5) Ramya played the female lead in popular Hindi film “Bade Miyan Chote Miyan” starring Govinda and Big B. 6) She tied the knot with leading director of Telugu movies, Krishna Vamsi on 12th June 2003 and the couple is blessed with a cute son named Ritwik. 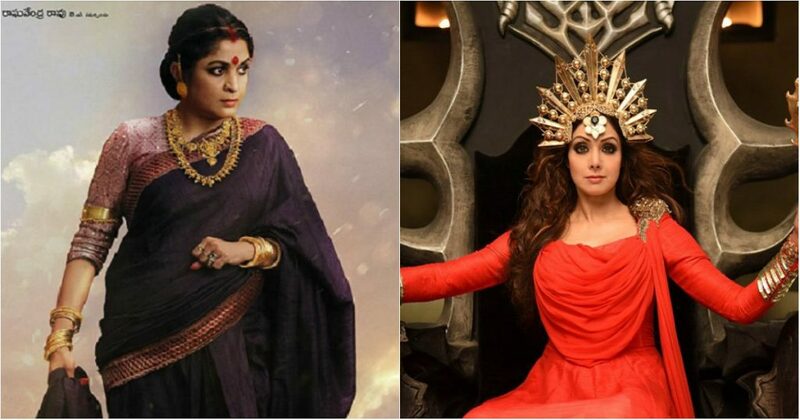 7) The role of Sivagami was first offered to Sridevi but she quoted a very high price after which makers approached Ramya for the character and the rest is history. 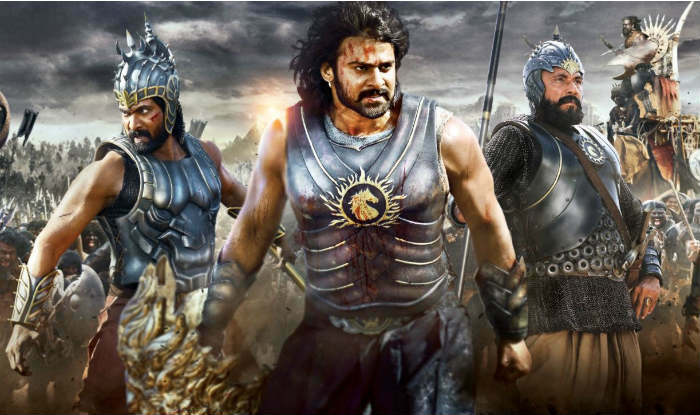 “Baahubali” is one of the best movies of her filmy career. And finally, her appearance as the Rajamaathi Sivagami Devi left everyone stunned! She was just royal and majestic with her looks and elegant with her pride attitude! What do you say about her? Did you know these facts about her? Have something to add with regards to this? Let us know your views in the comments section below.